Boston & Co was comprised of three men, Rev. Thomas Fysche Palmer, John Boston and James Ellis. John W. Earnshaw wrote about Boston & Co in 1951.........John Boston arrived as a free settler on the Surprise in 1794 the same vessel that brought the Rev. Thomas Fysche Palmer, a Unitarian minister, into exile and his young friend James Ellis, a young Dundee weaver who chose to accompany Palmer. These three men became partners in the trading company Boston & Co., with John Boston as the figurehead, and Palmer's mature outlook guiding the company. At first they tried farming but later set up as traders and by 1796 the partners were convinced that their fortunes were to be found in the seas and unknown coasts of this new land. The first small craft they build disappeared at sea and they set about building a second vessel which was the Martha. The Martha sailed to Norfolk Island carrying salt and pork and afterwards entered into the sealing industry. William Reid/Reed had entered Lake Macquarie by mistake. 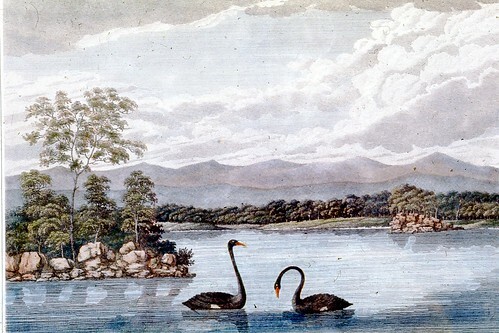 He was able to gather a cargo of coals from the lakeshore and it was on the return voyage to Sydney in August 1800 that the Martha ran ashore near Manly.